Take a break from the beach parties and sail around the island and to stunning Delos, the mythical birthplace of Apollo, with Set Sail Mykonos. Even if your main reason for visiting Mykonos is to party the days and nights away, a little break from the crowds is welcome. With Set Sail Mykonos, you can add another dimension to your vacation, cruising across the the blue waters of the Aegean powered only by the famed meltemi wind. 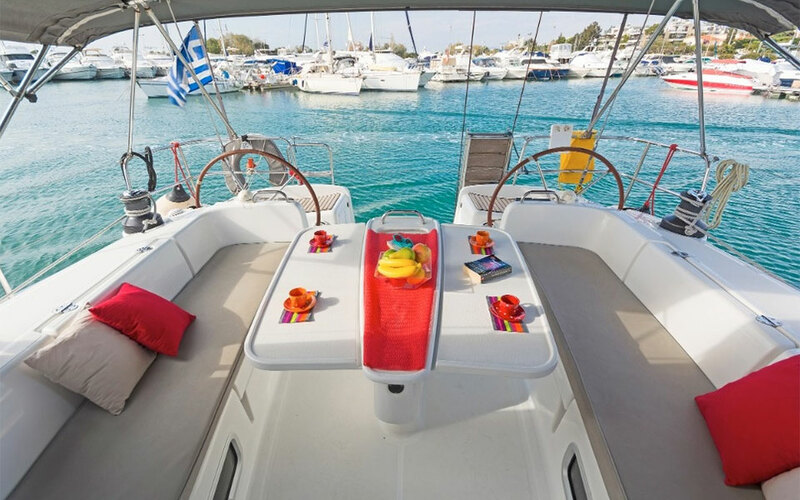 Enjoy swimming in the clear blue sea and relaxing on one of the company’s five yachts, with the sea breeze making it even easier to enjoy basking in the warm Mykonian sun. What’s more, if you’ve never sailed before and would like to get a taste of what it’s like to trim the sails and steer the boat, you are free to join the crew, and get a free mini-lesson in sailing. The company offers three different day-trip options and a sunset tour. 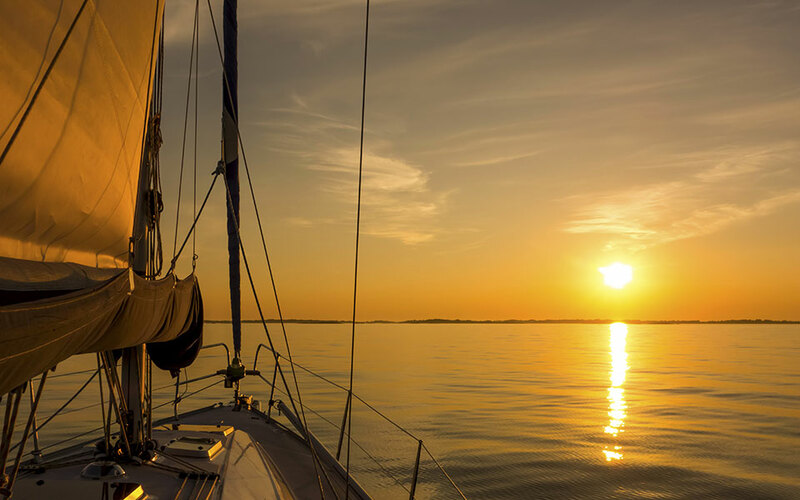 On the latter, you’ll meet your crew at Tourlos Marina in the evening, from where you will set sail towards the horizon. As the world turns golden all around you, you’re served a platter of Mykonian delicacies along with a bottle of wine (per 2 people). For a day excursion, you can choose between a tour of Mykonos’ southern beaches, a trip to the fascinating nearby island of Rineia, where you’ll swim in gorgeous secluded bays with white sand, or a trip to Rineia combined with a visit to Delos, and it’s incredible archaeological site. The most popular option is the trip to Rineia and Delos. 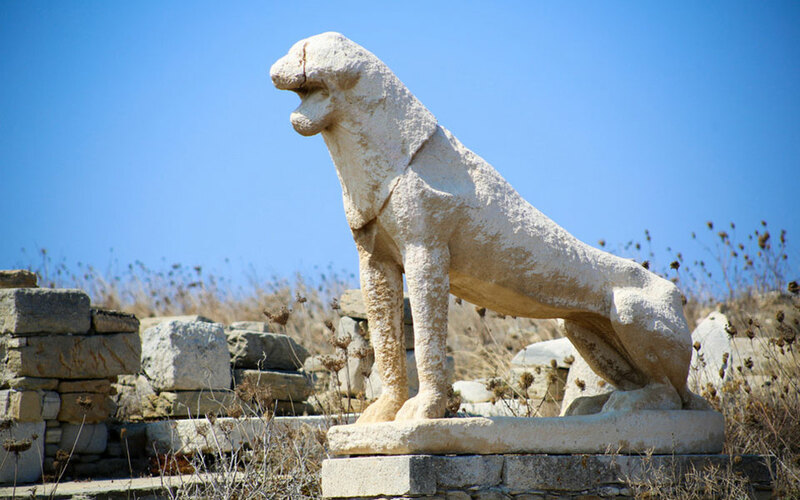 Being one of the most famous archaeological sites in the country, known in ancient times as the birthplace of Apollo and Artemis, a visit to Delos adds a deep cultural note to any Mykonos holiday. An English-speaking tour guide will be available for your visit. 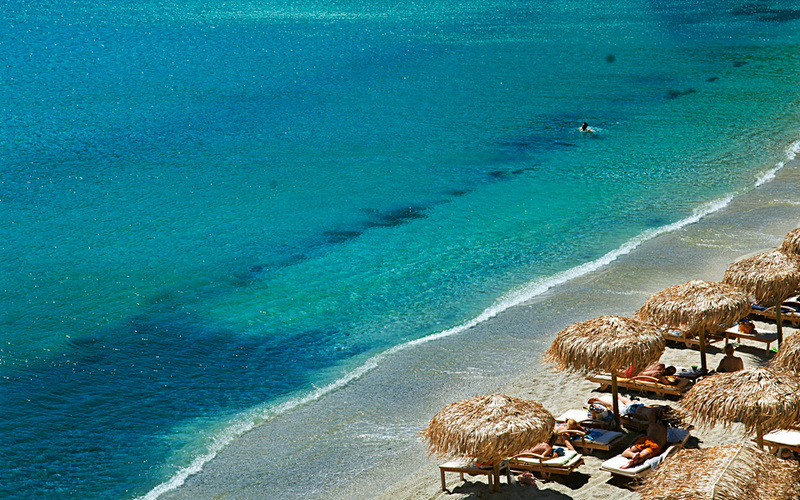 On the tour of the southern beaches, you’ll pass by some of Mykonos’ most famous sandy hot-spots, such as the spectacular Platys Gialos, Super Paradise, Elia, Kalo Livadi, and Kalafati. 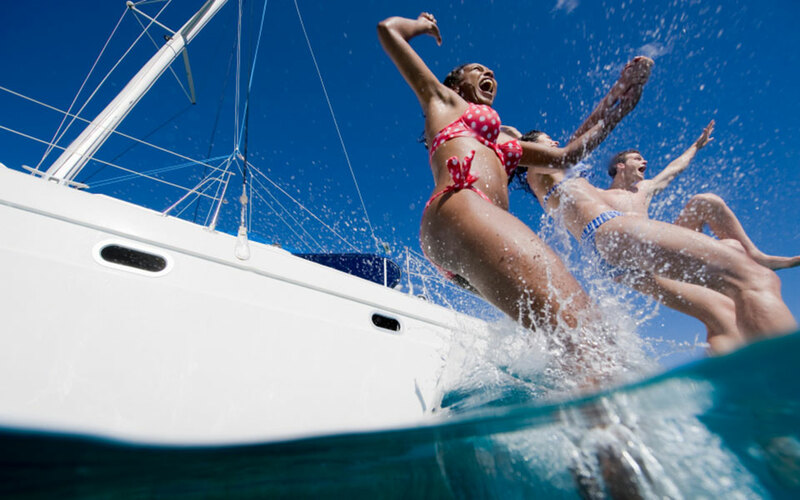 Whenever you see a place you like, the skipper will anchor, and you can either swim around the yacht or to shore, to mingle with the crowds at the beach bars. All day-trips start at the Tourlos Marina, after meeting at Matthew Tavern in the area at 10.00, and return at around 16.30. They include a light lunch served on deck along with your drink of choice (wine, beer, or soft drinks), water, and coffee. Snorkeling gear is also available free of charge.